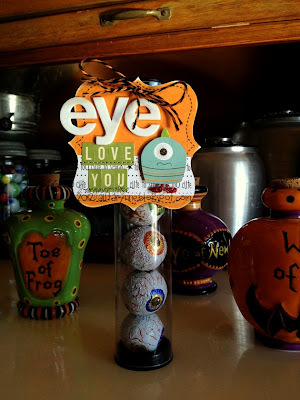 My Wise Designs: Eye love you! 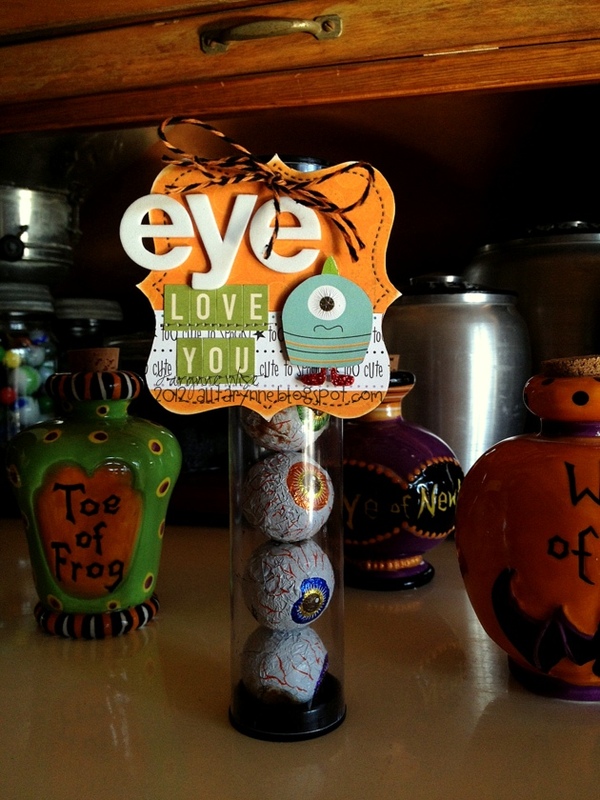 I found these cute Peanut Butter & Chocolate eyeballs at Winco and knew I had to make something with them! They fit perfectly in a container that I had (that a make up brush came in), so it was meant to be. I used Bo Bunny's Whoo-ligan's line for the base and the little monster. 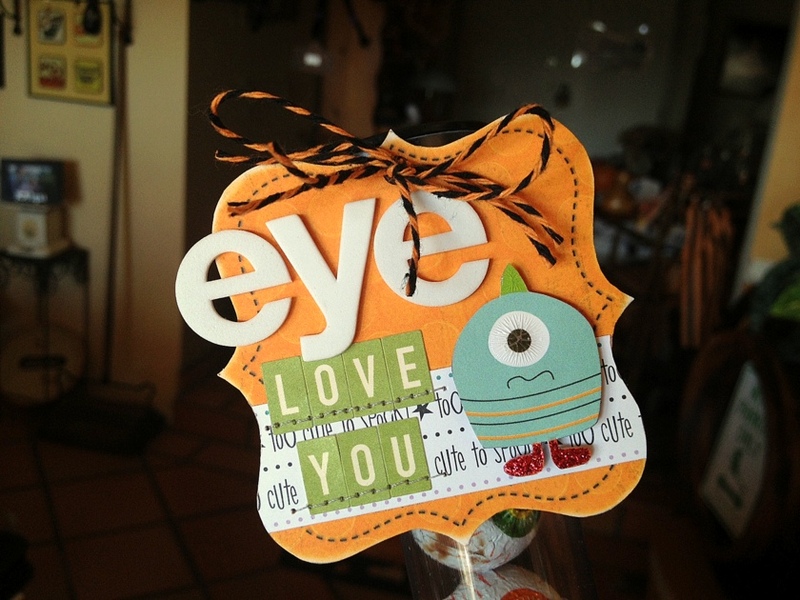 I added some stickles and crackle accents on the little guy too! For the sentiment, I used American Crafts Thickers and October Afternoon's Mini Marketplace Alphabet. I finished it off with a black eyelet and some Trendy Twine in Halloween Orange Licorice. Oceans apart day after day & I slowly go insane..
5 Things you may not know about me!